Sargent Cancer Care for Children - founded in 1968 by Sylvia Darley OBE as a lasting memory to the late Sir Malcolm Sargent. CLIC - Cancer and Leukaemia in Childhood - founded in 1976 in the south west by Bob Woodward following the diagnosis of his young son Robert with cancer two years before. Sadly, Robert died in 1977 aged 11 years, and Bob went on to dedicate his life to charity work. 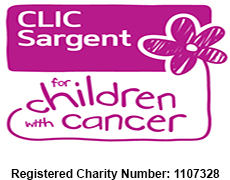 If you would like to help raise funds for CLIC Sargent whilst at the same time reducing the amount of waste consigned to landfill please use the contact us below. If your items are eligible, please call us on 0333 323 7677 or fill in the contact us form below and we will ensure that your items are recycled on behalf of your chosen charity. Once your free collection is arranged we will send you packing and further instruction. All proceeds go to CLIC Sargent.